The John P. Laborde Double Endowed Chair in Energy Law In October 2012, the LSU Board of Supervisors approved naming of the Energy Law Center of the LSU Paul M. Hebert Law Center in honor of John P. Laborde of New Orleans. Mr. Laborde has made a $2 Million gift to the Law Center to create a $1.2 Million Double Endowed Chair in Energy Law and an $800,000 programmatic support fund to establish the LSU John P. Laborde Energy Law Center. Mr. Laborde’s gift is the largest gift in the history of the Law Center. Mr. Laborde graduated from Louisiana State University with B.A. and J.D. degrees. After his graduation from LSU Law in 1949, Mr. Laborde spent 5 years with Richardson & Bass, an independent oil and gas exploration company and then 40 years leading Tidewater Marine, an international marine service company that he co-founded. Tidewater’s story began in 1955, when a group of investors led by the Laborde family of New Orleans pioneered the development of the first offshore service vessel tailor-made to support the new and growing offshore oil and gas industry. A year later, Tidewater Marine Service, Inc. commenced operations as a publicly owned company with John P. Laborde at the helm. Now, more than 55 years and many vessels later, Tidewater remains the leader of the industry it created, following the search for oil and gas into increasingly deeper waters globally and extending its proven record of service to installations closer to land. In the process, the company has earned a reputation for anticipating and responding to the changing worldwide needs of energy exploration and production. Mr. Laborde has also served on the Boards of several major corporations, including BellSouth Corp., American Bankers Insurance Group, United Gas Pipeline Co., Stewart Enterprises, Inc., and VT Halter Marine, Inc. He is currently Chairman of the Board of Laborde Marine Lifts, Inc., Laborde Products, Inc., Lab-More Properties LLC, and Laborde Integrated Services, Inc., and currently serves on the Board of Stone Energy Corporation. He retired from Tidewater in 1994. Mr. Laborde is a well-known and respected civic leader in New Orleans and throughout Louisiana. In 2000, Louisiana Public Broadcasting honored him as a “Legend of Louisiana” and in 2003, Junior Achievement honored him with its Lifetime Achievement Award. He was recognized by LSU A&M as the Peoples Health “Illustrious Alumnus of the Game” during the LSU-Kentucky game in 2011, and has also recently received the Lifetime Achievement Award by the Association for Corporate Growth. Mr. Laborde has served in multiple leadership roles with the Law Center and was honored as the LSU Law Center’s Distinguished Alumnus of the Year in 1993. He is a longtime member of the Law Center’s Chancellor’s Council, a former member of the Law Center’s Alumni Board of Trustees, and a member of the Law Center’s Forever LSU Campaign Steering Committee. Mr. Laborde served as Chair of the Law Center’s Annual Fund Campaign from 1999 – 2003. Upon entering LSU as an undergraduate student, Mr. Laborde was an active participant in the ROTC program until he was called to active duty in 1943. Before leaving LSU, he successfully acquired the rank of Cadet Colonel, Infantry Regiment of the LSU ROTC. Mr. Laborde served in the United States Army (Infantry) in the Pacific in World War II, where he attained the rank of captain. He also served on the Adjutant General’s staff of General Douglas MacArthur. The Laborde family is deeply committed to the success of LSU. Mr. Laborde’s son, Cliffe (’76), has a long record of service to and support of LSU Law. Mr. Laborde’s son, Gary, received his undergraduate degree from LSU and is the current Chair of the LSU Foundation. Mr. Laborde’s son, John Tracy Laborde, received a Business degree from LSU and Mr. Laborde’s granddaughter, Celeste Claire Laborde McNulty, is a 2008 LSU Law graduate. Mr. Laborde is married to Sylvia Laborde, and they reside in New Orleans. The Nesser Family Endowed Chair in Energy Law was established in 2011 by the John T. Nesser III family. As an accomplished attorney and businessman, Mr. Nesser recognized the growing global need for attorneys with a sophisticated understanding of the energy industry and also LSU Law’s established strength in preparing students to enter the field of oil, gas and mineral law. Confident that LSU Law had the capacity and the expertise to expand the traditional focus on energy to encompass the study of 21st century energy law, The John T. Nesser family has provided the funding to establish the Nesser Family Endowed Chair in Energy Law. The endowed chair is only the second in the history of the Law Center. Mr. Nesser, a 1973 graduate of the Law Center, was named Executive Vice President and Chief Operating Officer for McDermott International, Inc. in July 2010. He previously served in a variety of leadership roles for J. Ray McDermott, S.A., a McDermott subsidiary, including Executive Vice President and Chief Operating Officer, Executive Vice President /Chief Administrative and Legal Officer, and Executive Vice President and General Counsel. He practiced law for over 25 years at Nesser, King & LeBlanc, a New Orleans law firm which he co-founded in 1985. Nesser currently serves on the Law Center’s Board of Trustees and is a member of the Houston Regional Alumni Steering Committee. He and his wife Cynthia reside in Houston. Mr. J.T. Nesser IV is a 1999 graduate of the LSU Law Center and is currently a partner with the Porter Hedges Law Firm in Houston. He practices in the litigation section of the firm. 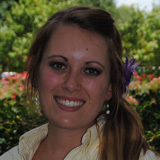 Ms.Amanda Nesser Moeller is a career counselor with Tulane University Law School in New Orleans. She received her degree from the LSU Law Center in 2005. The holder of the Chair will help to lead the Center’s efforts to develop client-ready attorneys who can successfully navigate and support all aspects of the complex, global 21st energy industry, and produce the skilled visionary future leaders for this critical industry, in Louisiana and beyond. was established by the LSU Board of Supervisors in 2003 for the benefit of the LSU Paul M. Hebert Law Center. This chair, the first established at the LSU Law Center, was made possible by the late United States Senator, Russell B. Long. In 1992, in recognition of the service of Senator Long as a member of its board of directors, the Metropolitan Life Insurance Company established a life insurance policy through its MetLife Director Charitable Contribution Program. Upon Senator Long’s death, the life insurance policy paid $600,000 to the LSU Foundation for the benefit of the LSU Law Center to establish the Russell B. Long Eminent Scholars Academic Chair. In 2004, a matching grant of $400,000 was received from the 8(g)Louisiana Education Quality Support Fund (LEQSF). The Senator wanted this chair to attract a scholar of such distinction that his or her joining the LSU law faculty would enhance the national reputation of the Law Center and the University. After a comprehensive international search, distinguished comparativist Olivier Moréteau was named the first holder of the Long Chair. Senator Russell B. Long served in the United States Senate from Louisiana for 38 years. A member of one of the nation’s most renowned political family dynasties, Long was an influential member of Congress for more than three decades. Long was the son of Louisiana governor and senator Huey P. Long and nephew of three-time Louisiana governor Earl Long. He was the Senate majority leader from 1965 to 1968, and chaired the Senate Finance Committee from 1966 to 1981. Elected to the U.S. Senate seven times, Long retired from public office in January 1987. He is a 1942 graduate of the LSU Law Center and was named the Law Center’s Distinguished Alumnus of the Year in 1992. Senator Long died on May 9, 2003.
was established by the LSU Board of Supervisors in 1988. Erick V. Anderson, for whom the professorship is named, was a promising graduate of the Law Center who was tragically killed in a skiing accident. As a tribute to him, this professorship was made possible by donations from friends and in particular his family: Mr. and Mrs. Arthur E. Anderson (mother and father) and Miss Karen Anderson (sister). was established by the LSU Board of Supervisors in 1991. George M. Armstrong was a valuable member of the faculty of the Law Center from 1984-1990 and was an outstanding young teacher and scholar. This professorship was established in his memory by his family and friends. was established by the LSU Board of Supervisors in 1997 to honor long time faculty member Dr. Dale E. Bennett. Dr. Bennett taught for 43 years at the Law Center. This professorship was established by friends and former students of Dr. Bennett and family members, Dr. and Mrs. Dale Bennett, Jr. and grandchildren Karen Bennett Nelson and Lynne Bennett Webb. was established in 1953 by the LSU Board of Supervisors. This professorship is named in honor of brothers David F. and Thomas D. Boyd who served as presidents of LSU in its formative years. The Boyd Professorship, the highest professorial rank awarded by the University, is given only to professors who have attained national or international distinction for outstanding teaching, research or other creative achievement. Law professors holding the Boyd Professor rank include Henry George McMahon, 1963-66,Wex S. Malone, 1966-88, Saúl Litvinoff, 1985- , and William D. Hawkland, 1989- 04.
was established in 2007 by The Burlington Resources Foundation. This professorship in environmental law will help support the Law Center’s efforts in providing timely seminars on the environment. The professorship was championed by 1977 Law Center graduate Frederick J. Plaeger II, vice president and general counsel at Burlington. Houston-based Burlington Resources, Inc. was one of the world’s largest oil and gas exploration and production companies and the gift was completed just prior to the company being acquired by ConocoPhillips, Inc. in early 2006. Burlington Resources, Inc. began operating in 1864 when President Abraham Lincoln granted land and rights-of-way to the Northern Pacific Railway Company, predecessor to Burlington Northern Railway Company. Oil was discovered on Burlington Northern Land in 1951 in North Dakota and over the years the company, which would become Burlington Resources, Inc., gained an increasing Louisiana presence culminating with the 1997 merger with Louisiana Land and Exploration Company. was established by the LSU Board of Supervisors in 2002.This professorship was made possible by a gift from the estate of Richard C. Cadwallader’’s wife, Mary Powers Cadwallader, in memory and in honor of her husband. was established in 1971 by the LSU Board of Supervisors after a donation was received from the Campanile Charities, Inc. This professorship is intended to support the work of a professor in the area of mineral resources law and policy. was established by the LSU Board of Supervisors in 1999 in recognition of Mr. Carville’s accomplishments. This professorship was made possible by C. James Carville, Milton Womack, Cyril Vetter, and Mary Olive Pierson. Mr. Carville is a member of the Law Class of 1973.
was established by the LSU Board of Supervisors in 2004.This professorship was made possible by a generous contribution from Edwin Curry and matching funds from the Exxon-Mobil Foundation. Edwin Curry is the father of LSU law graduate Richard A. Curry ‘77. was established by the LSU Board of Supervisors in 2001.The professorship was made possible by the generous donation of Lewis Unglesby, Law Class of 1974, in recognition of the important influence Mr. D’Amico, a member of the Law Class of 1938, has played in his career and education. The professorship honors Mr. D’Amico’s many accomplishments and contributions to the legal profession. was established by the LSU Board of Supervisors in 2002.This professorship was made possible by a gift from the estate of Roy Paul Daniels, brother of Hawk Daniels, in honor of Hawk Daniels many contributions to the legal profession and to the community. was established by the LSU Board of Supervisors in 1988 in honor of the late Henry Plauché Dart who was a distinguished member of the Louisiana Bar and the first president of the Louisiana Bar Association. This professorship was made possible by the legacy of his daughter Sally Dart. was established in 2011 by Mrs. Rosemary Slattery Davis and her husband, Senator Jackson B. Davis. Senator Davis, a military veteran and a 1940 graduate of the Law Center, practiced law in Shreveport until his retirement in 2011. He also served in the Louisiana State Senate for six consecutive terms and at times, represented all of Caddo and DeSoto parishes. Mrs. Davis is an LSU graduate. They are the proud parents of four children. was established by the LSU Board of Supervisors in 1985 in honor of the late Nolan J. Edwards, a member of the law class of 1956. This professorship was made possible by gifts from 96 donors of $1,000 or more. was established by the LSU Board of Supervisors in 1998.This professorship honors Clarence W. Edwards. Times and circumstances prohibited Clarence W. Edwards from getting a formal education but he furthered the cause of education by encouraging his children to obtain their education. was established by the LSU Board of Supervisors in 2000.The professorship was made possible by the generous donation of Ernest and Iris Eldred. Mr. Eldred received his law degree from LSU in 1957. Since 1963, Mr. Eldred has maintained a private law practice in Baton Rouge, primarily in the field of oil and gas. He formerly served as an Assistant Attorney General, special counsel to the Louisiana State Mineral Board, City Prosecutor for the City of Baton Rouge and was instrumental in drafting and getting passed legislation to preserve Louisiana’s title to lands formed by accretion in the Atchafalaya Bay. Mr. and Mrs. Eldred are admired for their many contributions to LSU and the state of Louisiana. was established by the LSU Board of Supervisors in 2003.This professorship was made possible by the generous contribution of Louisiana Outside Health and Ethics Foundation, which was created by the 17 law firms who represented Louisiana in the 1998 settlement reached between plaintiff states and major tobacco companies. was facilitated by a donation by Cynthia Felder Fayard. This professorship was established by the LSU Board of Supervisors in 2006. Cynthia received a B.S. in elementary education from LSU in 1969 and a J.D. from the LSU Paul M. Hebert Law Center in 1972. Fayard practiced law for over 30 years primarily in Livingston Parish. She is past president of the 21st Judicial District Bar Association, past president of the Livingston Parish Bar Association, and chairman of the Louisiana State Pardon Board for five years. She also served as an assistant public defender for the 21st Judicial District and assistant City Attorney for Denham Springs, LA. was established by the LSU Board of Supervisors in 1996, through the generosity of his wife, Mrs. Theresa Gasquet, in honor of his distinguished legal career and public service. Mr. Gasquet was a member of the Law Class of 1955.
was created in 2007 by family and friends of Judge Anthony Graphia. A native of Baton Rouge, Graphia is a 1963 graduate of the LSU Law Center. During his legal career, he worked in both private practice and in public service. He is most known for his service as a judge for the East Baton Rouge Parish Family Court beginning in 1979, where he served as Chief Judge from 1991 until his retirement in 1996. Judge Graphia continues in part-time practice of criminal defense and personal injury law. He and his wife of 48 years, JoAnn Ribes, have four children and seven grandchildren. was established by the LSU Board of Supervisors in 1996. It is dedicated to bringing in distinguished members of the judiciary as visiting faculty to serve as Justice Pike Hall, Jr., Professor of Law. This professorship was made possible by a donation made by the Justice Pike Hall Campaign Committee from campaign funds remaining after Justice Hall’s retirement. Pike Hall, Jr., a 1953 graduate of the Law Center, is widely admired and respected throughout America, which includes his career in the Louisiana Judiciary serving as Chief Judge of the Second Circuit Court of Appeal and service as a Justice of the Louisiana Supreme Court. was established by the LSU Board of Supervisors in 2000.The professorship was made possible by the generous donations from the many friends and family in honor of Mr. Harrell. A graduate of the Law Center, Mr. Harrell taught Mineral Law and various related courses and is admired and respected for his many contributions to the legal profession. Mr. Harrell is the former director of the Mineral Law Institute and professor emeritus. was originally established in 2000 by Holt B. Harrison, a member of the Law Class of 1961. In 2007, Mr. Harrison made a supplemental donation to the existing professorship that doubled the amount to the fund. Mr. Harrison is a resident of Baton Rouge and practices real estate law. He credits his LSU Law degree with equipping him with the skills necessary to be successful in businesses. Mr. Harrison has been involved in real estate development, including large-scale subdivisions, shopping centers, and miscellaneous properties, throughout the Baton Rouge area. He is also the owner of several companies and businesses. was established by the LSU Board of Supervisors in 1998.This professorship was established by the generous donation made by Chancellor Emeritus William D. Hawkland who served as Chancellor from 1979-1989 at the Paul M. Hebert Law Center. The professorship honors his wife, Rosemary Neal Hawkland, who supported his many endeavors. was established by family, friends and colleagues, and approved by the LSU Board of Supervisors on March 17, 2017. The award honors Cheney C. Joseph, Jr., a Baton Rouge native, who graduated from University High and the LSU Law Center. He completed his undergraduate studies at Princeton University and returned to enter law school. He graduated in 1970, and in 1972, he joined the law faculty, teaching criminal law, criminal procedure and evidence. Over four decades, he shared his incisive legal acumen, his folksy stories and hypotheticals and his unmatched legal instincts with generations of students. He served as Vice-Chancellor to three Law Center Chancellors, managing academic and student affairs. He was diligent and compassionate – often referred to by students and colleagues as “the heart and soul” of LSU Law. On many occasions Professor Joseph was called to assignments outside the university, serving as: U.S. Attorney for the Middle District of Louisiana; First Assistant District Attorney and District Attorney of East Baton Rouge Parish; Judge Pro Tempore for the 16th JDC and the 40th JDC; and Executive Counsel to Governor Mike Foster. He also served two terms as the Executive Director of the Louisiana Judicial College. Professor Joseph’s sudden illness and passing in December 2015 brought more than 500 contributors to an initiative to establish a professorship and name a classroom in his memory. was established by the LSU Board of Supervisors in 1998. Generous contributions made by the Byron R. Kantrow family—Mrs. Byron R. Kantrow, Byron K. Kantrow, Jr., Michael J. Kantrow, and Lee C. Kantrow—made this professorship possible. Mr. Kantrow, a 1931 graduate of the Law Center, was widely admired and respected for his many contributions to the community, to Louisiana and to the legal profession. was established in 1993 by the LSU Board of Supervisors. Contributions from family and friends of the late R. Gordon Kean, Jr. made this professorship possible. Mr. Kean was widely admired and respected for his distinguished career and contributions to the legal profession and to Louisiana State University. He taught for many years as an adjunct member of the law faculty. Mr. Kean was an expert on local government law and served as Parish Attorney for many years. He was also one of the earliest environmental lawyers in Louisiana. was established by the LSU Board of Supervisors in 2001.The professorship was made possible by the generous donation of the Laborde Family in honor of the late C. E. Laborde, Jr., a member of the law class of 1934. Mr. Laborde, a native of Marksville, was the former director of Tidewater, Inc., and a partner in the law firm of Laborde and Lafargue. was established by the LSU Board of Supervisors in 1997.This professorship was established by Frances Leggio Landry, Class of 1934, in honor of her friend and former teacher at the Law Center—Harriet S. Daggett. Professor Daggett was the second woman law professor in the United States and served for many years as an outstanding member of the LSU law faculty. was established by the LSU Board of Supervisors in 1989.This professorship was made possible by the generous contributions of the late Jules F. Landry and his wife Frances L. Landry, who are distinguished members of the legal profession and members of the classes of 1932 and 1934 respectively. They practiced law together in the firm of Landry and Landry in Baton Rouge for many years and have been generous benefactors in time and energy to the Law Center. was established by the LSU Board of Supervisors in 1997.This professorship was established by members of the Law Class of 1950 and surviving spouses of deceased members of the class. This Professorship honors the LSU Law Class of 1950 and the extraordinary accomplishments of members of the class to the legal profession, the State of Louisiana and the United States. was established at the LSU Law Center in the name of 1972 alumna Donna W. Lee and approved by the LSU Board of Supervisors in 2006. Donna Lee received her undergraduate degree from LSU College of Arts and Sciences in 1969. Lee has a Baton Rouge family law practice with the firm “Lee & Walsh, Attorneys and Legal Services”. Donna’s husband, David R. Pitts, made a donation to the LSU Foundation to establish this professorship at the LSU Law Center in the name of his wife. This professorship will be dedicated for a professor in family law. was established by the LSU Board of Supervisors in 1995.This professorship was made possible by the generous contributions of the members of the Liskow and Lewis Law Firm. was established by the law firm of Liskow & Lewis. The firm, with offices in New Orleans, Lafayette and Houston, is widely known for its seminal work during the formative years of Louisiana mineral law, and today, for its strong business and expanded energy law practice along the Gulf Coast. The firm provides comprehensive client representation in litigation and transactional matters in a broad range of practice areas. The gift, one of the largest institutional gifts ever received from a Louisiana law firm, was in response to the Law Center’s desire to create a strong 21st Century Energy Law program. The professorship will provide funds to bring distinguished scholars in energy law and closely related fields to the Law Center on an annual basis. The multidisciplinary energy program will help to prepare lawyers for the complex and highly specialized practice of energy law. was established in 2009 in honor of Professor Sául Litvinoff by his former student, Cordell Haymon (’68) and Ava Leavell Haymon, who both became his dear friends. Sául Litvinoff began the practice of law in 1949 in his native Argentina, after earning his LL.B, S.J.D., S.C.D at the University of Buenos Aires. In 1961, he came to the United States where he taught and studied at Yale, attaining his LL.M. Litvinoff was recruited to LSU Law as a visiting professor in 1965. He stayed for more than four decades. In 1976, he became acting director of the Center of Civil Law Studies, where he became renowned for his diligent work on the Louisiana Civil Code, and for his instrumental role in its revision and modernization. was established by the LSU Board of Supervisors in 1988 in honor of the late Professor Malone who was a member of the law faculty for many years and was named a Boyd Professor of Law in 1966.This professorship was made possible by donations from friends of Wex S. Malone. was established by the LSU Board of Supervisors in 1999.This professorship was made possible by the generous donation of the Louisiana Association of Defense Counsel in recognition of Professor Maraist’s distinguished career and contributions to the legal profession and the LSU Law Center. Professor Frank L. Maraist is a member of the Law Class of 1958 and began his teaching career at the Law Center in 1974.
was established by the LSU Board of Supervisors in 2002.This professorship was made possible by the generous contribution of Amanda Karen Martin, LSU Law Class of 1984, to honor her parents. was established by the LSU Board of Supervisors in 2002. This professorship was made possible by a generous contribution from the law firm of McGlinchey Stafford. The firm was established in New Orleans in 1974 and now has offices in Louisiana, Mississippi, Texas, and Ohio. was established by the LSU Board of Supervisors in 2015 in honor of the late Ben R. Miller, Jr. Mr. Miller graduated first in his class from the LSU Law Center in 1961. He was a member of both the Louisiana Law Review and the Order of the Coif. Mr. Miller helped found Kean Miller LLP, now the largest law firm in Baton Rouge and one of the largest firms in Louisiana. Throughout his 53 year law practice, Mr. Miller remained strenuously committed to the mission of the LSU Law Center, serving as an adjunct professor for numerous years, as an early member of the Law Center’s Alumni Board of Trustees, and a long-standing member of the Chancellor’s Council. He was also committed to improving the broader Baton Rouge community and the State of Louisiana, and he gave his time and expertise in countless volunteer capacities. Mr. Miller took great pride in his LSU Law Center education, and he left a bequest to ensure that the stellar reputation that surrounds the LSU Law Center continues well into the future. was established by the LSU Board of Supervisors in 1991. Hermann Moyse was important in the life of the law and banking in Louisiana and was a distinguished alumnus of the Law Center who had a major impact on the development of banking law in the state. This professorship was made possible by the generous contributions of Mrs. Moyse, her children and their families, the Louisiana Bankers Association and its Bank Counsel Committee. was established by the LSU Board of Supervisors in 1984 in honor of the late J. B. Nachman, a member of the law class of 1920. This professorship was made possible by donations from the family of J. B. Nachman: Mrs. Mary Anna L. Nachman, Mrs. Ann N. Finkelstein, Leonard R. Nachman, II, Esq., and Dr. Lisso Nachman. was established in 2014 by Patricia Kleinpeter Odom in honor of her late husband. Mr. Odom was born in Baton Rouge, and he was a graduate of Baton Rouge High School. In 1982, he was named to their Hall of Fame. He attended LSU and graduated in 1951. Upon graduation, Mr. Odom was commissioned as an Infantry Second Lieutenant and was called to active duty in July 1951. Following his honorable discharged in 1953, he entered the LSU Law School, where he was an Associate Editor of the Louisiana Law Review and Chief Justice of the Honor Court. Upon law school graduation in 1956, he and his long-time friend, John S. White, Jr., formed a law firm currently known as Kennon, Odom and Dardenne. In addition to a full law practice, Mr. Odom devoted countless hours to religious, social, professional, civic and community work. He was grateful for the education that he received from the LSU Law Center, and left a bequest to ensure future students continue to receive an outstanding legal education. was established by the LSU Board of Supervisors in 1986.This professorship was made possible by the generous action of the Board of Directors of the Pan American Life Insurance Co. under the able leadership of its Chairman, G. Frank Purvis, Jr.
was established by the LSU Board of Supervisors in 2000, in honor of the late Harvey A. Peltier, a member of the law class of 1921.The professorship was made possible by the generous donation of the Peltier Foundation. Mr. Peltier distinguished himself as a lawyer, business executive, statesman and civil leader. He devoted years of tireless leadership in the cause of civic progress and was recognized as Thibodaux’s “first citizen” in community service. was established by the LSU Board of Supervisors in 1996.This professorship was made possible by the generous donation made by Mr. and Mrs. Phillips. James E. Phillips received his law degree from LSU in 1963 and held the highest corporate counsel rank by any LSU law graduate. was established in memory of Judge Henry A. Politz by friends, family, and colleagues. A Korean War veteran of the Air Force, he received a degree from the LSU Law Center in 1959. As a judge on the 5th U.S. Circuit Court of Appeals, Politz was known for his judicial probity, his passion for life, and his sense of humor. was established by the LSU Board of Supervisors in 1999.This professorship was made possible by Milton Womack, John Laborde, family and friends, in honor of Mr. Porterie’s many accomplishments and contributions to the legal profession, his community and the state of Louisiana. He was most proud of his legal efforts in connection with the Greater New Orleans Bridges across the Mississippi River. Mr. Porterie was a member of the Law Class of 1948.
was established through a $250,000 gift by the Preis and Roy law firm. The endowed professorship gift will support the director of the Law Center’s Advocacy and Professional Practice program and provide funds to support activities of the advocacy program. The firm’s gift is the first institutional gift of this size to be received by the Law Center. Preis and Roy was established over 30 years ago by Mr. Ed Preis, a 1972 graduate of LSU Law, and Mr. Lane Roy. As a corollary to the firm’s primary marine and energy practice, Preis and Roy attorneys also specialize in contractual indemnity, insurance, party property, bad faith liability, and non-marine and general casualty law. The firm has 53 attorneys in its Lafayette, Houston and New Orleans offices. Some 24 of the firm’s lawyers are LSU Law Center graduates. was established by the LSU Board of Supervisors in 1999.This professorship was made possible by the generosity of G. Frank Purvis and his wife Winston. G. Frank is a member of the Law Class of 1935. Mr. Purvis is Chairman Emeritus of the Board of Pan-American Life Insurance Company. Mrs. Purvis is a member of the LSU School of Journalism Class of 1940. Mr. and Mrs. Purvis are admired for their many contributions to the community and LSU. was established by the LSU Board of Supervisors in 1996 by the law firm of Phelps Dunbar. Harry S. Redmon, Jr., senior partner at the New Orleans law firm of Phelps Dunbar is a 1959 graduate of the Law Center and is widely admired and respected throughout America for his many contributions to the community, to Louisiana, to the legal profession, and to LSU. was established by the LSU Board of Supervisors in 2002.This professorship was made possible by the generous contributions of Calvin C. Fayard, Jr. and Cynthia Felder Fayard. Robinson’s primary field of practice since 1983 has been management of complex litigation, and he is widely admired and respected for his many contributions to the community, to Louisiana and to the legal profession. was established in 1992 by the LSU Board of Supervisors. This professorship came at a particularly appropriate time since it marked the 200th anniversary of the First Amendment of which Judge Rubin was a strong advocate of the rights that this amendment guarantees. This professorship was made possible by the family and friends of Judge Rubin in honor of his distinguished career in the legal profession and his wide respect and admiration through America. was established by the LSU Board of Supervisors in 1993. Family and friends of Janice Rubin contributed to the establishments of this endowed professorship to honor the dual contributions of Janice and her late husband, Judge Alvin B. Rubin. was established by the LSU Board of Supervisors in 1995 in honor of the late Chief Justice Joe W. Sanders, member of the Law Class of 1938.This professorship was made possible by the generous donation made by Mrs. Joe W. (Marie) Sanders and the many contributors of the Law Alumni Association. was established by the LSU Board of Supervisors in 1991. Mary Elizabeth Sanders, daughter of the late J.Y. Sanders, Jr., funded this professorship in recognition of her father for his distinguished career in all phases of law and public service. Sanders served in the Louisiana House of Representative, State Senate, and was also a founding partner of the local firm of Sanders, Miller, Downing, Kean and Rubin. was established in 2012 via an estate gift of Mrs. Romayne F. Sandoz. Mrs. Sandoz passed away recently, and through her estate she left a special legacy to honor her late husband, Lawrence B. Sandoz, Jr. Mr. Sandoz was a 1948 graduate of the Law Center. Mr. and Mrs. Sandoz resided in Opelousas, and Mr. Sandoz practiced for many years at the Sandoz Sandoz and Schiff Law Firm. The gift, a double endowed professorship, will provide faculty support and funds to enhance the academic programs of the Law Center. was established by the LSU Board of Supervisors in 2004.This professorship is made possible through the generous donations of J. Noland Singletary, a 1952 graduate of the LSU Law Center. This professorship is in honor of J. Noland and Janice D. Singletary, who are widely admired and respected for their many contributions to the legal profession and their community. was established in 2007 by Eula Tullos Smith in honor of her late husband, Wedon T. Smith, a 1939 graduate of the Law Center. After serving as an officer in the Navy during World War II, Smith began his legal career in Jonesville, Louisiana. A former member of the Louisiana Bar Association board of governors and board of delegates, he was also a member of the LSU Law Center Hall of Fame and a 2005 inductee in the LSU Hall of Distinction. Smith was a director and president of the LSU Foundation and actively involved in many civic associations and charities. This Law Center professorship was Smith’s wish and dream and was made possible by his wife Eula and daughters Rebecca and Mary. The recipient of the Wedon T. Smith Professorship in Civil Law shall be an accomplished and proven academic who teaches in the discipline of civil law. was established in 2007 by Allen L. Smith, Jr. Smith received his B.S. from LSU in 1959, and is a 1964 Order of the Coif graduate of LSU Law. A partner with Plauche, Smith and Nieset in Lake Charles, Louisiana since 1964, his areas of practice include oil and gas, personal injury, defense and plaintiff, toxic torts, admiralty and maritime, and products liability law. was established by the LSU Board of Supervisors in 1993.This professorship was established by the family of Oliver P. Stockwell in recognition of his accomplishments in the field of law in the State of Louisiana. Mr. Stockwell was also widely admired and respected throughout America for his many contributions to his community and his service as chairman of the LSU Board of Supervisors. His leadership in establishing the Law Center as a separate unit of the LSU System is one of the most important events in the history of the Law Center. was established by the LSU Board of Supervisors in 1989 in honor of the late Judge Tate who was a judge on the Louisiana Court of Appeal, the Louisiana Supreme Court, and the U.S. Court of Appeal for the Fifth Circuit. This professorship was made possible by donations from numerous friends of the late Judge Albert Tate, Jr. through the efforts of the Albert Tate, Jr. Foundation. This professorship was established in memory of Mr. Newman Trowbridge, Jr. (’71) by his family, friends and colleagues. He was a highly respected attorney and skilled practitioner who throughout this legal career championed the cause of private property rights of landowners and passionately advocated for the protection and preservation of such rights. Mr. Trowbridge served as general counsel to the Louisiana Landowners Association, and he practiced in Lafayette and Franklin, Louisiana. He passed away in May 2009.
was established in his memory by his wife, Verdy and son, J. Michael Veron. A 1959 graduate of LSU Law, Veron first became a state district judge in Lake Charles nine years after receiving his degree. He was then appointed to the federal bench in 1977 by President Carter, and served the U.S. Western District of Louisiana in Lake Charles. He earned a reputation as a dedicated, thorough, and conscientious judge. This endowment is a “double professorship” which will qualify for an additional match from the Board of Regents. was established by LSU Law alumnus Cyril E. Vetter (’72) and wife Tutta in 2007. This professorship supports the study and teaching of Louisiana Civil Law and honors Cyril’s brother, Bernard Keith Vetter (’64), who received both his bachelor’s degree and law degree from Louisiana State University. On the faculty at Loyola, Professor Vetter has taught at Tulane Law School and the LSU Law Center, as well as schools in France, Lithuania and Brazil. was established by the LSU Board of Supervisors in 1989.This professorship was made possible by the generous contributions of the members of the Vinson and Elkins Law Firm, Houston, TX and honors the late Judge James Anderson Elkins, a distinguished jurist and a founder of the firm. was established in 2012 by Edward J. Womac, Jr. This professorship will support the Law Center’s expanded program in 21st Century Energy Law. Mr. Womac, of the Womac Law Firm in New Orleans, Gretna and Mandeville, is a 1983 LSU Law graduate. For over 28 years, his law firm has successfully represented clients in personal injury cases, with some 20,000 cases handled since 1983. The firm also supports several educational, recreational and religious organizations that enrich local neighborhoods. honors Professor A.N. Yiannopoulos and was created by his former student and friend, LSU Law graduate Richard J. “Jerry” Dodson (’66). Athanassios Nicholas Yiannopoulos (“Thanassi” to his friends and “Yippy” to his students), was born on March 13, 1928, in Thessaloniki, Greece. After finishing law school with highest honors at Aristotle University of Thessaloniki, Athanassios trained to be an infantry reserve officer and interpreter. He eventually served as military secretary for the commander-in-chief, King Paul, before being honorably discharged in 1953. Immediately following, he entered the United States on a Fulbright scholarship to study law at the University of Chicago. After receiving an LLM in 1954, he fled the cold to the welcoming sunshine at University of California Berkeley where he eventually earned a Doctorate of Laws. After teaching abroad at the University of Cologne and receiving a second doctorate degree there, he began teaching law at Louisiana State University in Baton Rouge in 1959. Two decades and many stories later he moved to New Orleans and began teaching at Tulane University Law School and continued lecturing through 2016. Since 1969, he served as the yearly editor of West’s Pamphlet Edition of the Louisiana Civil Code and authored three volumes of the Louisiana Civil Law Treatise series. He also took great pride in establishing and directing multiple study-abroad programs in his native Greece until his passing in February of 2017.